Purchase Grieving a Suicide and A Grace Disguised together at a special savings. Loss in life is inevitable, but it's possible to harness the hardship of loss and turn it into a positive event in your life. 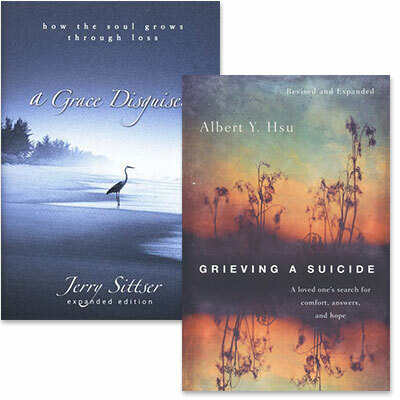 Author Jerry Sittser explores painful events like divorce, death, and illness and shows that it's not the circumstances we find ourselves in at these points of loss, but how we respond to them that widens our spiritual capacity to experience blessing and growth in the midst of grief.